We always love hearing from our avid readers, especially when they ask if we could review or analyze a new product. And that’s exactly what happened last week, when @Lendo777 asked us about KOR Lipolytic Ignitor on Twitter. 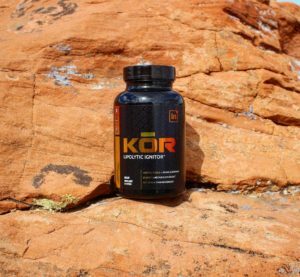 Kor Lipolytic is formulated by Inspired Nutraceuticals, the same company that brings us the potent DVST8 pre workout that’s been talk of the town. 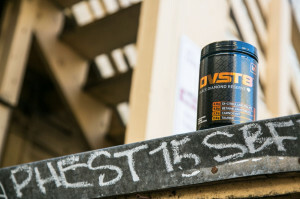 We’re certainly glad it was brought to our attention because it’s a relatively interesting fat burner from a company we’re going to have to keep our eyes on – this might just be the next fat burner we try after our current run on Olympus Labs IGNIT3 (which is absolutely awesome and definitely bound for our best fat burner list). The great thing about Inspired Nutra products is that they’re 100% transparent, which we always love here at PricePlow. KOR Lipolytic is no exception and provides a unique blend of focus and fat burning that’ll have you zoned in like no other thermogenic you’ve most likely encountered. 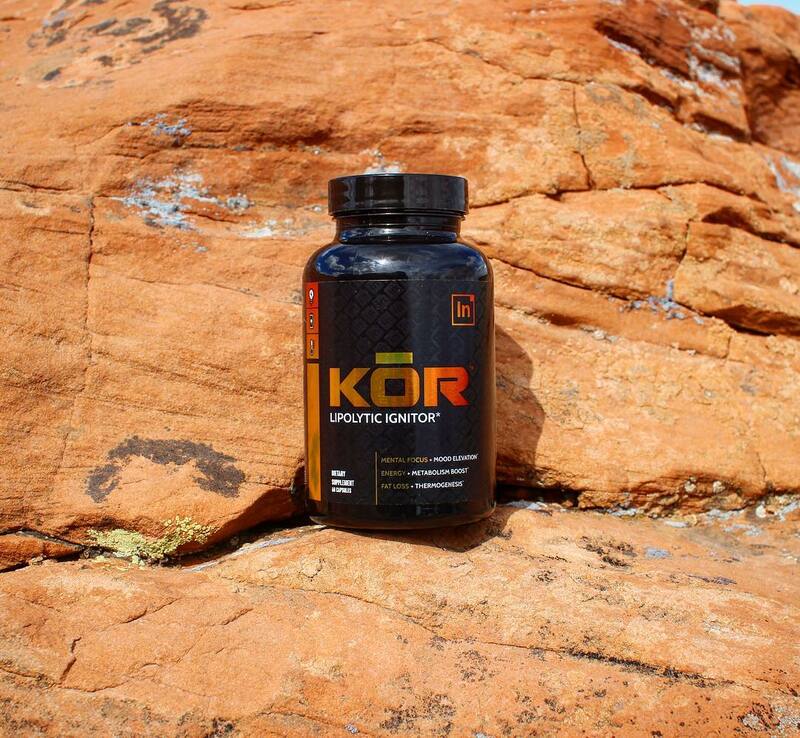 KOR has a unique formula that looks to attack fat on multiple fronts as well as improve focus and concentration. This is one of the PricePlow gang’s favorite fat burning ingredients, and you’ll definitely notice the thermogenic kick from it, but not so much that it makes you uncomfortable. A rarely used ingredient, Octopamine is an amine found in the human brain that possesses stimulatory effects similar to its relative, synephrine (which we’ll cover down below). Stim effects aside, octopamine enables fat burning by inhibiting glucose uptake in fat cells (adipocytes) by blocking the beta-3 adrenoceptors. Additionally, octopamine activates the alpha-1 adrenergic receptors which triggers lipolysis (a.k.a. fat-burning!). 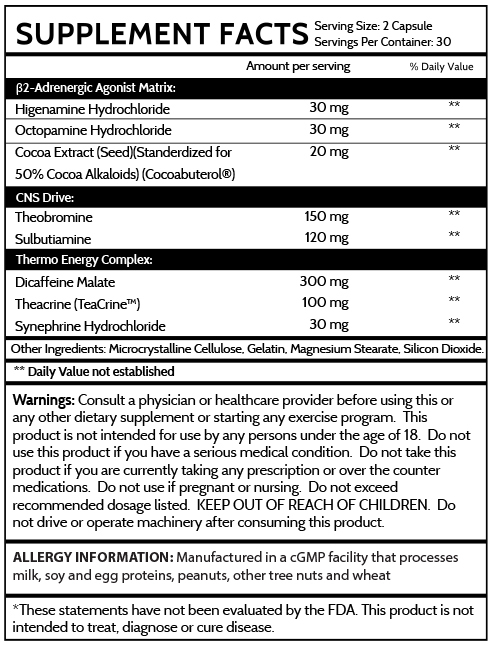 One thing to be aware of though, octopamine is on the WADA banned substances list, so if you’re a drug-tested athlete, you need to avoid this ingredient! This is possibly our favorite patented ingredient thanks to the N-coumaroyldopamine and N-caffeoyldopamine. Derived from cocoa extract, Cocoabuterol® is contains several compounds including N-Coumaroyldopamine, N-Caffeoyldopamine, EGCG and Theobromine. The two compounds we’re most interested here are N-coumaroyldopamine and N-caffeoyldopamine, which affect the β2 adrenoceptors in the body inducing both fat loss and muscle growth…just what we want in a fat burner! EGCG plays a unique role here as well, as it the mechanism that breaks down N-coumaroyldopamine and N-caffeoyldopamine. This allows the two primary compounds to stay active longer and enable more fat burning. Remember Compound 20’s Original Formula? Anyway, if this is indeed extracted for N-coumaroyldopamine and N-caffeoyldopamine, and you’ve never tried the original Compound 20 or other supplements that have them, you should consider giving this a spin on your next diet. Good things seem to happen with them. KOR stands alone as one of the premier open label focus-centered fat burners . Theobromine acts as a stimulant in the body, though not quite as potent as caffeine does. But, the energy kick from theobromine is much smoother and longer-lasting than it’s harsher acting brother. Renowned for its ability to offset fatigue as well as improve memory and cognition[9,10], Sulbutiamine is a synthetic derivative of the B-vitamin thiamine. It was originally created by a group of Japanese scientists who joined 2 thiamine molecules with a sulphur group. This may seem like a strange inclusion for a fat burner, but there’s reasoning behind its appearance on the ingredient panel. Thiamine doesn’t cross the blood-brain barrier all that easily, but thanks Sulbutiamine’s increased fat-solubility, it easily crosses the barrier and then increases circulating levels of thiamine in the body. You will more often see this ingredient discussed in nootropic circles for the focus – but anytime we’re dieting or low-carbing it, we’ll take anything to help with that brain fog. 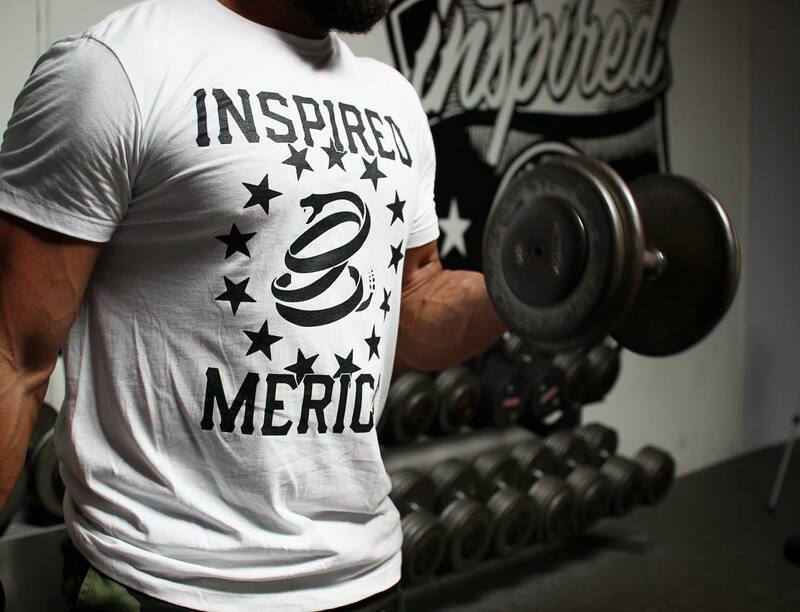 Because…’MERICA!!! We’re PricePlow and we support this message. Forged together with iron and fire (not really), dicaffeine malate is a combination of caffeine and malic acid. These two compounds are joined via an ionic which which yields a hybrid form of caffeine that yields roughly 75% caffeine by volume. The primary benefit of dicaffeine malate is that it provides a much more sustained energy release, eliminating the harsh caffeine “kick” which is notorious among the fat burner population. Additionally, the addition of malic acid helps offset any potential crash as well as ease caffeine’s sometimes stomach-irritating effects. 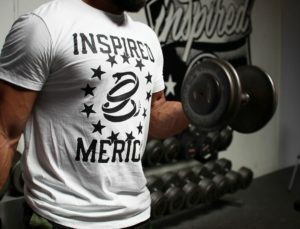 TeaCrine™, a.k.a. theacrine, is synthesized from caffeine in certain plant species and actually exhibits a similar structure. Not surprisingly, theacrine exhibits many of the same stimulatory effects as caffeine, however, they are much longer lasting. Similar to caffeine, theacrine activates the dopamine and adenosine receptors in the brain, which elevates mood and energy levels. The real benefit to using theacrine though is that it doesn’t lead to a tolerance build up like caffeine does. [12,13] This means that you can keep getting the same great energy kick and focus without having to continually up the dose! Meet the first lady of Inspired Nutra, sponsored athlete Stephanie. 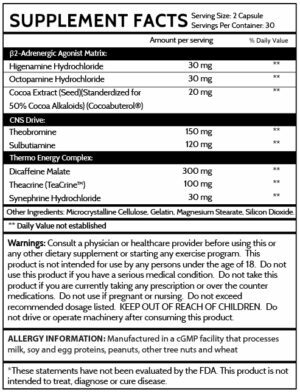 Synephrine is a potent Beta-2 and Beta-3 adrenergic receptor agonist[16,17] that liberates stored triglycerides and releases them into the bloodstream, a process known as lipolysis. This enables the body to essentially “burn fat for fuel” and save your glycogen stores for intense exercise. Take 2 capsules once per day. Do not exceed 4 capsules in 24 hours. We cover a lot of products here at PricePlow, both old and new. Sometimes a gem like this slips under the radar among the mass number of products that hit the wire each week. Thankfully, we were alerted to this by an inquisitive follower. To answer Lendo’s question… we’re VERY interested in KOR Lipolytic. This fat burner represents everything we’d want in a fat burner, energy, focus, fat burning, and an open label! Now that we’ve been attuned to Inspired Nutraceuticals, we’re going to have to keep an eye on them and see what new products come out of the pipeline. 1 Comment | Posted in New Products, Supplement News | Tagged Bitter Orange, Citrus Aurantium, Cocoabuterol, Dicaffeine Malate, Fat Burners, Higenamine, Inspired Nutraceuticals, Octopamine, Sulbutiamine, Synephrine, TeaCrine, Theacrine, Theobroma Cocao, Theobromine.